Cruising the waters off Cuverville Island, Antarctica. 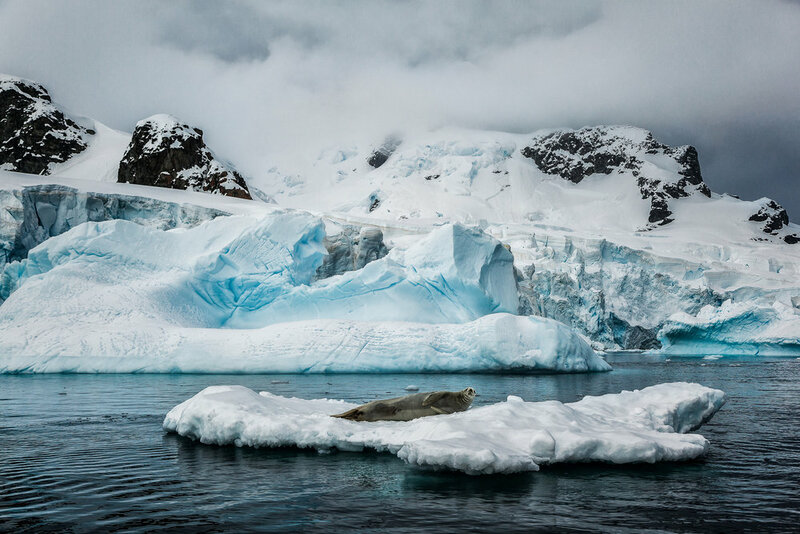 While on a group tour to Antarctica you'll likely have the opportunity to photograph from three quite different situations: from the ship, from a zodiac and on land. The above photo was made from the deck of the cruise ship, the Polar Pioneer. It provided me with the advantage of being able to photograph from an elevated position. This means that instead of being limited to exploring foreground and background, your photos will now include more of the mid ground. That’s the advantage of photographing from a higher vantage point, even if all you reveal in the mid ground is space and color. It can be exciting photographing from a zodiac. As it moves you’ll need to keep your wits about you and be ready to respond as the moment unfolds. Higher ISO and Shutter Speeds are usually required to ensure sharp images, particularly when photographing wildlife in motion. It’s a great feeling to alight from a zodiac with the opportunity to explore rugged and remote landscapes. 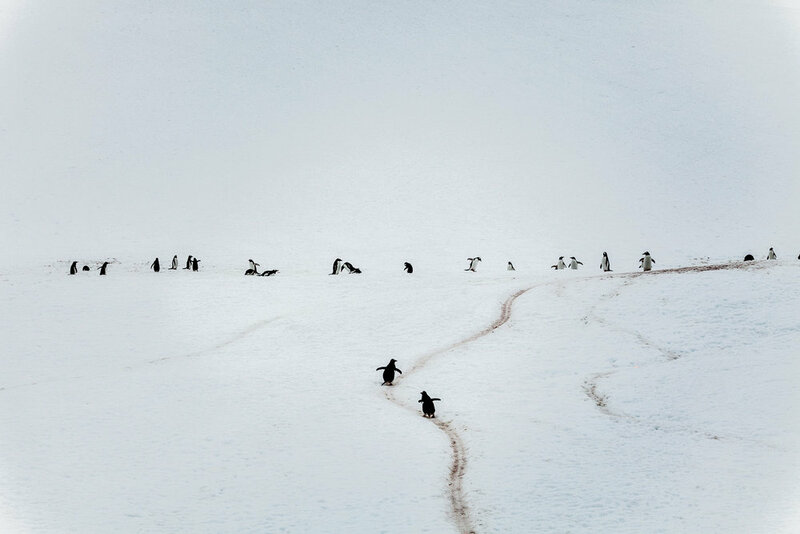 If you tour includes South Georgia Island you may find yourself running the gantlet, as you make your way through a colony of seals and cantankerous elephant seals. On the beach there’s usually loads of wildlife to photograph. Inland you’re more likely to be photographing landscapes. On the Antarctic continent that means snow and ice. 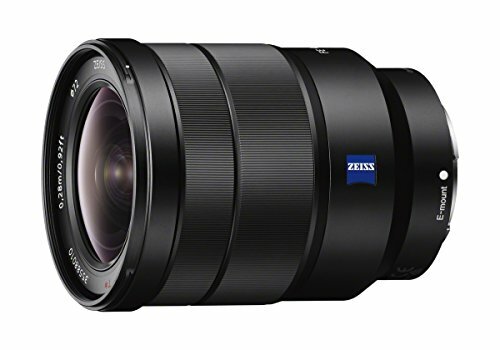 A zoom lens with a variety of focal lengths from wide-angle to telephoto and, possibly, a tripod may be required to cover the diversity of opportunities you’re likely to face. Terry, our barman from Aurora Expeditions Polar Pioneer ship, on a hilltop above Paradise Harbour in Antarctica. On a full frame camera a focal length of 24 mm should be sufficient for your landscape photos, though a zoom that covers the 16-35 mm range would be ideal. The wider the focal length the more opportunity you’ll have, when it’s safe to do so, to move in close and include interesting flora or fauna in the foreground of your landscape photos. 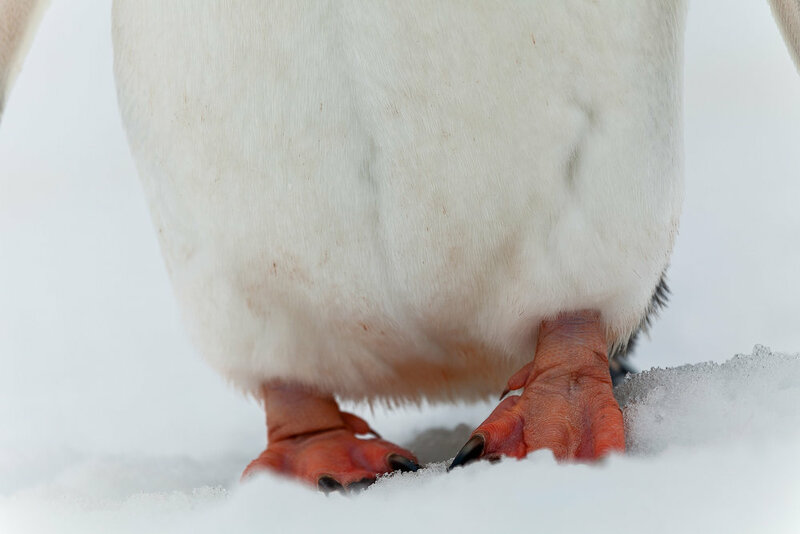 A close up view of a penguin's feet on the icy slopes of Cuverville Island, Antarctica. For close-up images of seals and elephant seals you’d normally find yourself standing further back and filling the frame with a longer telephoto lens. 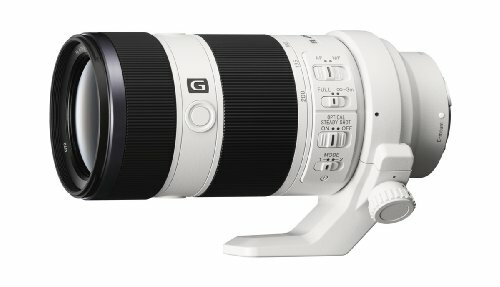 A 70-200 mm is probably sufficient for this kind of work, whether you’re working with a full frame camera or a APS-C size sensor. 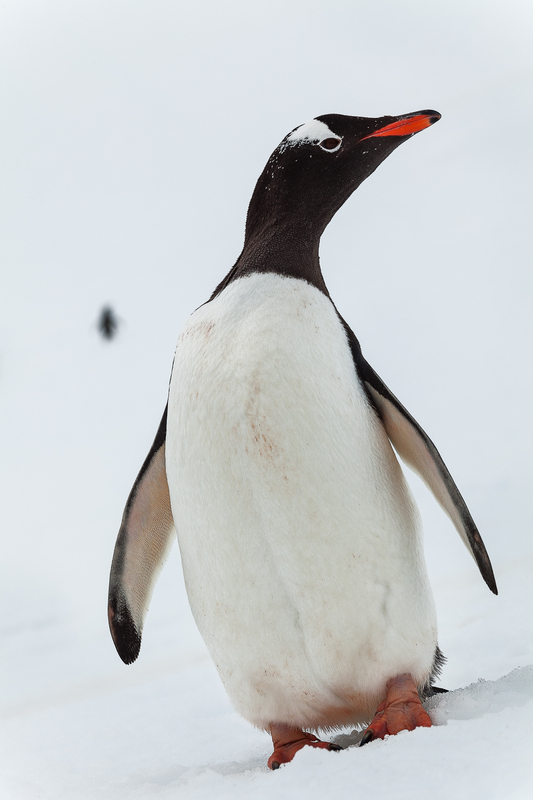 The close up photo of the King penguin’s feet was made with a Canon 100-400 mm lens at a focal length of 400 mm. A participant on the tour I was co-running loaned me that lens, as I was using a Canon 5D Mark II camera back then. Having that lens enabled me to make several photos that I just couldn’t have made with the other lenses in my kit. Wow! What a gal. More powerful focal lengths are always attractive, though it’s important to be wary of the size and weight of these lenses. You’ll need to be able to bring them onto the plane, as carry on luggage, and you’ll also need to carry them around with you on location. Being prepared for a range of photography opportunities and changing weather will be essential to your success. What’s more you might only have an hour or so on land, so it’s important to get cracking. After making the arduous climb up the hill overlooking Paradise Harbour and the Almirante Brown Antarctic Base it's an absolute thrill to slide down, in a fraction of the time. Here’s what you’ll need to bring along on an average zodiac expedition and landing on Antarctica. A special waterproof bag (optional) into which your backpack is placed during the zodiac trip from ship to shore, and back again. You’ll want to leave the location feeling like you’re done your best with the time available to you. There may be a chance for more pics from the zodiac, on the way back to your ship, and from one of the ship’s decks as you leave your destination. After that it’s time to upload your images, clean your camera gear and relax with a drink in the bar. And it doesn’t get a whole lot better than that my friends.